As I said in a previous post, it was a busy week for art lovers in London last week! 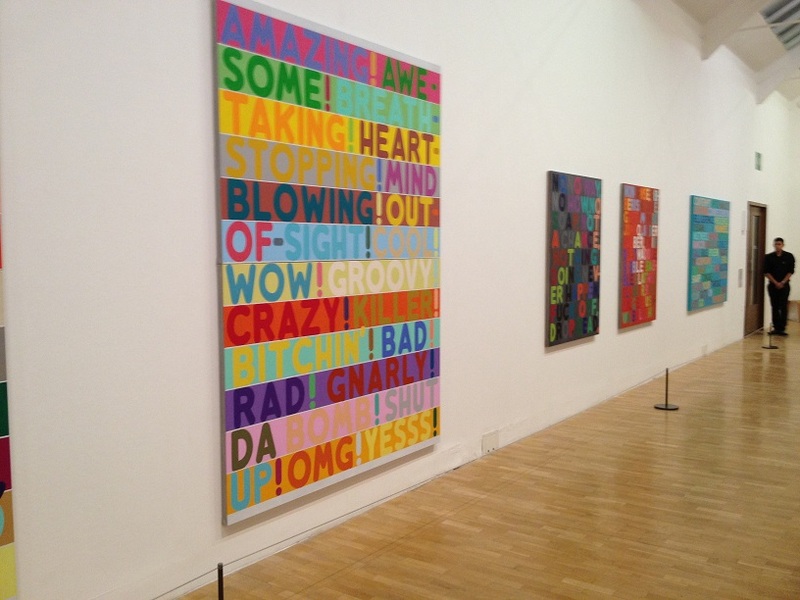 Last Thursday was the opening night of American painter Mel Bochner’s exhibition at the Whitechapel Gallery. 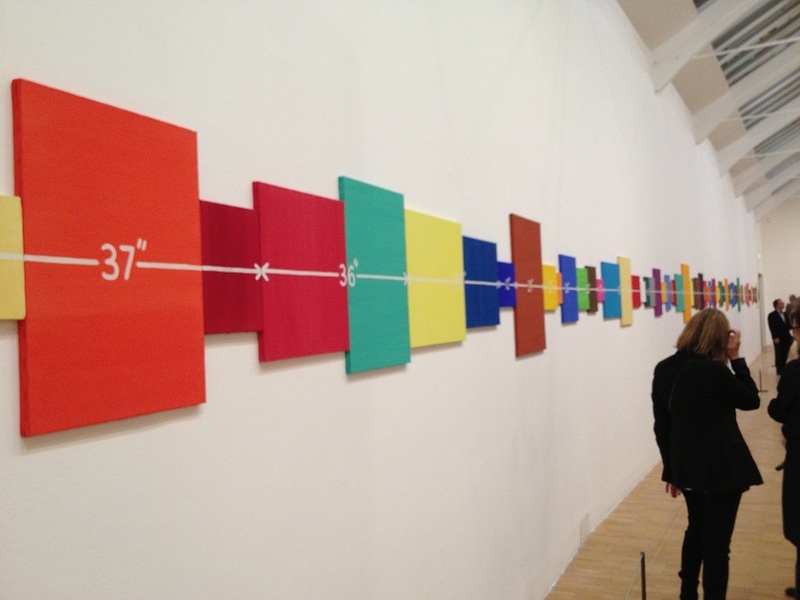 This is the first time Bochner’s 45 year career has been exhibited on such a scale in the UK and, after seeing the exhibition, I can say it’s long overdue. From a lot of the press running up to the exhibition I was expecting it to be solely his text paintings on show, for which he is most famous. 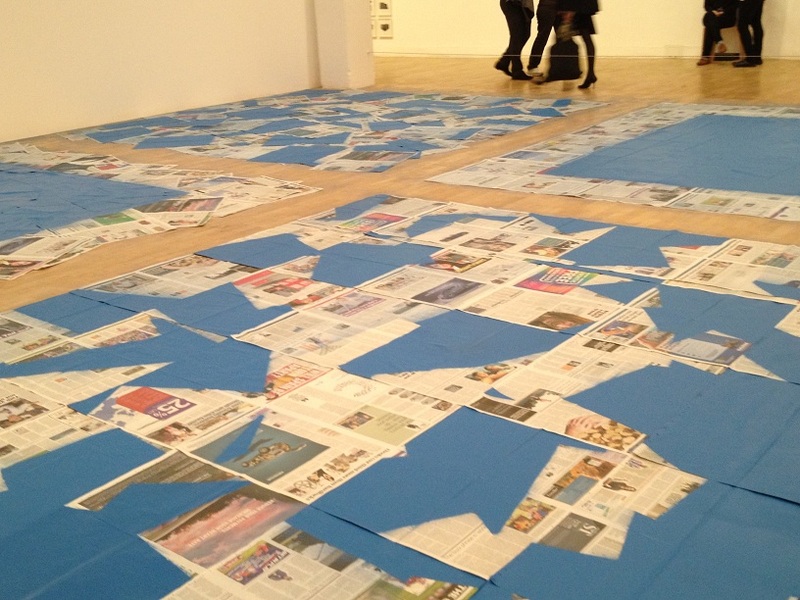 However, as you move through the galleries you see just how diverse his body of work is; after being greeted by the enormous Blah Blah Blah painting, created especially for this show, when you first enter, you move in to a space occupied by Theory of Painting, four squares made up of newspaper spreads sprayed bright blue in various configurations. Moving on, there are photographs, sculptures and more examples of his paintings; the largest gallery upstairs is dedicated to his Measurement and Thesaurus works. 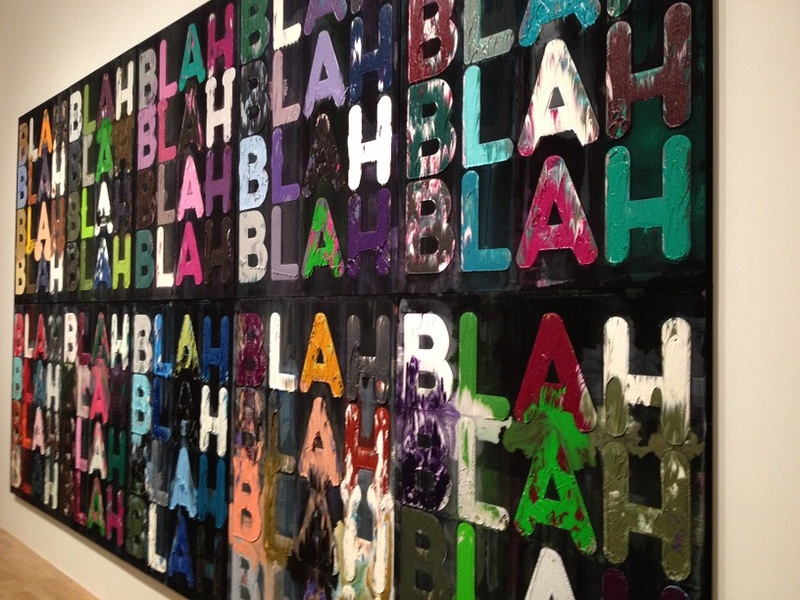 Overall, this is a great show, it has been curated brilliantly, and having seeing the full range of his work I now have an increased respect for Bochner’s work. The show is on until December 30th and I definitely recommend you check it out. To mark the iminent release of Paul Graham’s latest book The Present, published by Mack Books, I thought I would post a print I bought that Graham released through the Whitechapel Gallery last year as part of his retrospective. 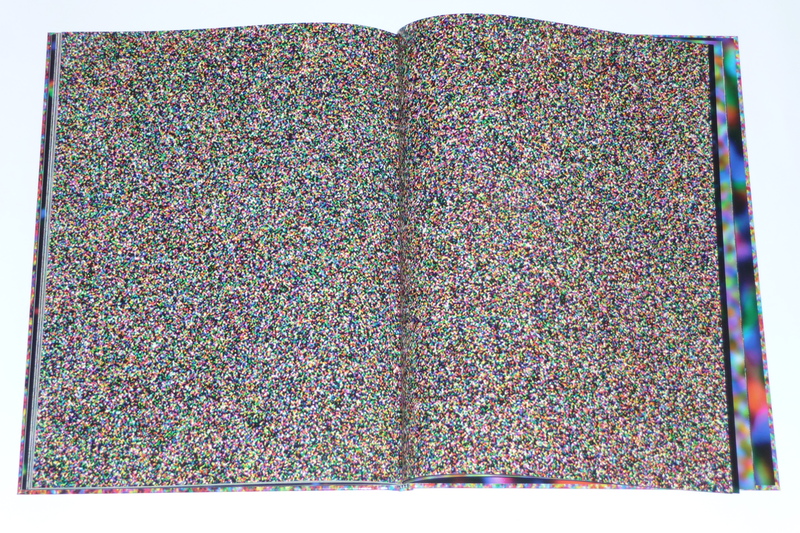 The image is taken from his New Europe series, created in the early 90’s. This series sought to dig beneath the sheen of a newly unified Europe and remind us of the historical events that shaped the countries we know today. His work touches on the dictatorships of Franco and Hitler, the Holocaust and the Irish conflict and weaves these references in to images of todays society. The print (55.88 x 43.18cm), was produced in an edition of 115 and a few are still available directly from the gallery here. Last year, German photographer Thomas Struth presented his first UK survey of work at Whitechapel Gallery in London. The exhibition covered 25 years of his career and included his iconic works depicting museum visitors gazing reverentially at works of art and architecture. Other large scale works on display also included the Paradise series, photographs of impenetrable lush forests that take up entire walls of the gallery. 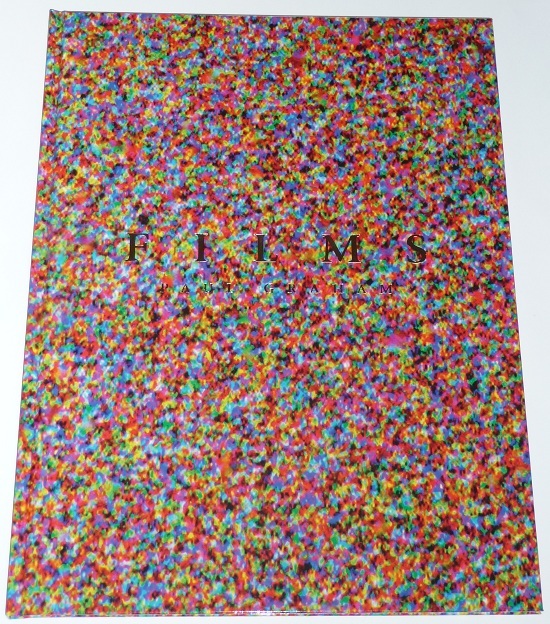 To coincide with the exhibition, Struth produced a 40.0 x 56.2 cm limited edition print in an edition of 80. 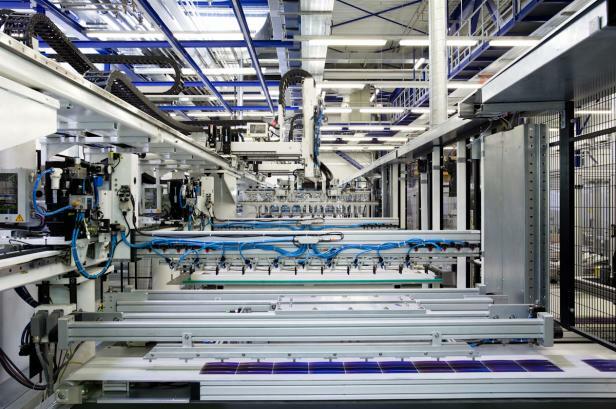 The print is an image of the interior of the SolarWorld power plant in Freiberg, Germany and sold out almost immediately. It has cropped up already at auction and has estimates of $2000-3000. 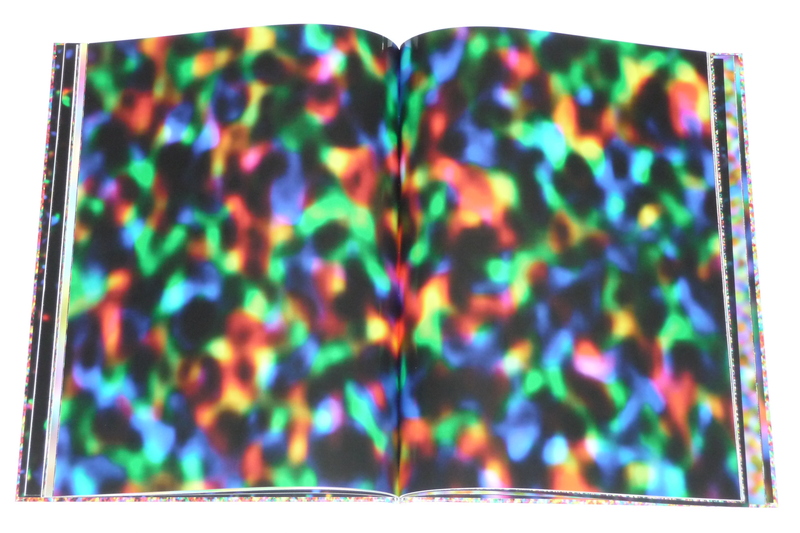 In anticipation of Paul Graham’s new book The Present, published by Mack Books this spring, I thought I would present his book Films which was also published by Mack last year. The images in this book are a world away from those that he is best known for, yet they fit perfectly with his ethos of using a variety of photographic techniques to tell a story. 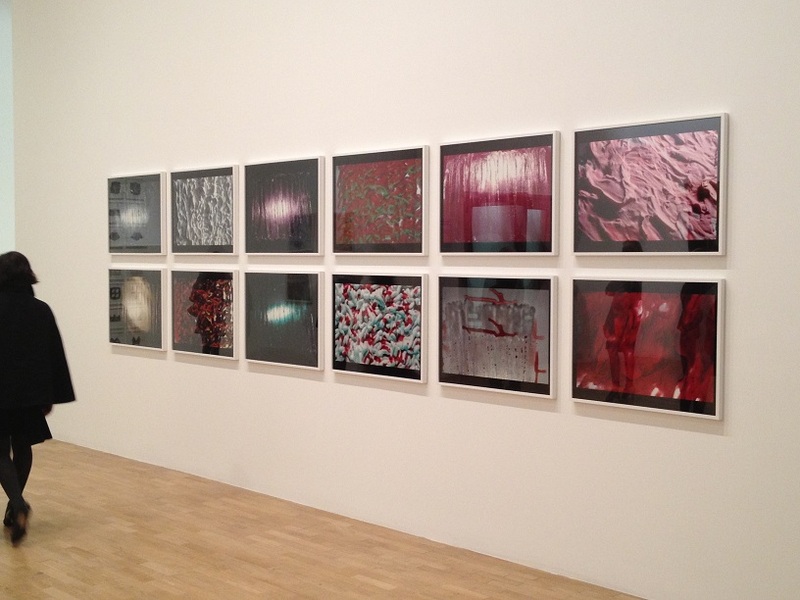 In these images, first shown at Anthony Reynolds gallery in London, Graham presents the microscopic details of a films grain. 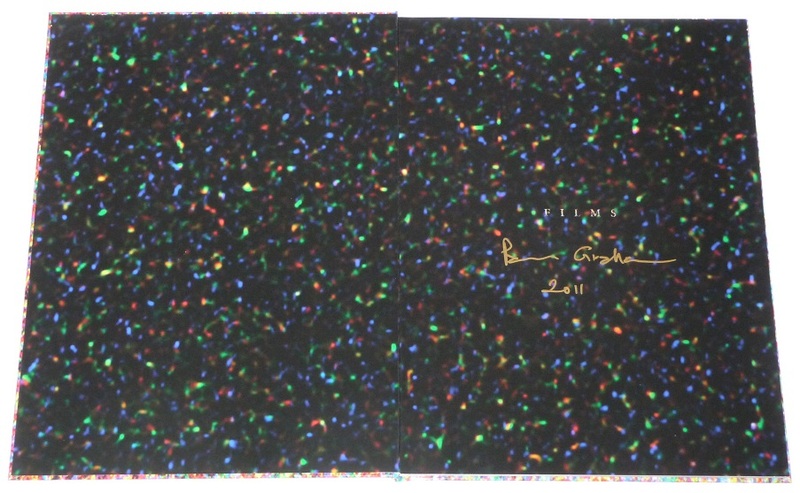 Whilst scanning his images for his career retrospective at the Whitechapel Gallery, Graham also scanned the unexposed ends of the film and enlarged them producing stunning abstract constellations of colour. As the film differs so does the resulting image, no two films are the same. 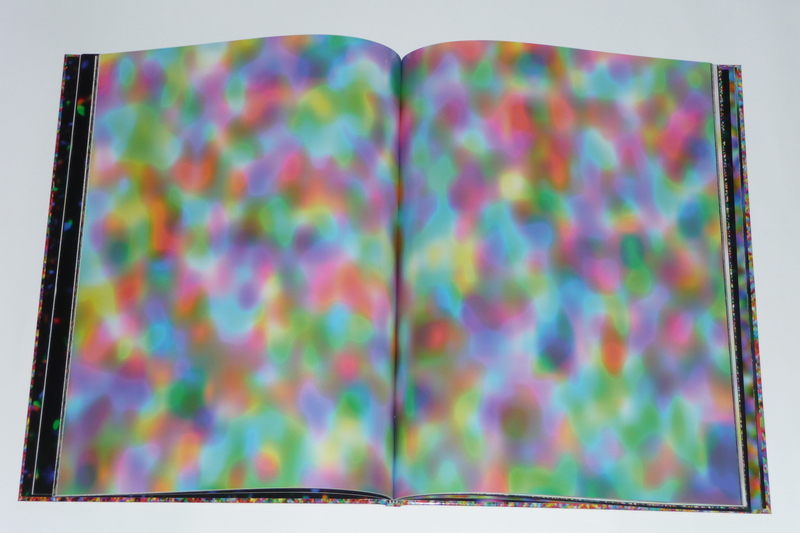 The book is lavishly produced, the pages are lacquered to a high gloss finish so that they have the appearance and feel of celluloid film; I was also lucky enough to pick up a signed copy from the gallery. John Stezaker has been shortlisted for the 2012 Deutsche Börse Prize for his exhibition at The Whitechapel Gallery in 2011. John Stezaker’s work uses found images to produce collages which are both witty and poignant. The Whitechapel Gallery is an excellent place to buy limited edition artists prints, and I bought the Stezaker print below there during the exhibition. It is now sold out but keep an eye out for future prints as his international recognition and popularity is increasing rapidly. The Photographers’ Gallery will be exhibiting Stezaker’s work as part of the Deutsche Börse exhibition this summer in their new gallery in London. 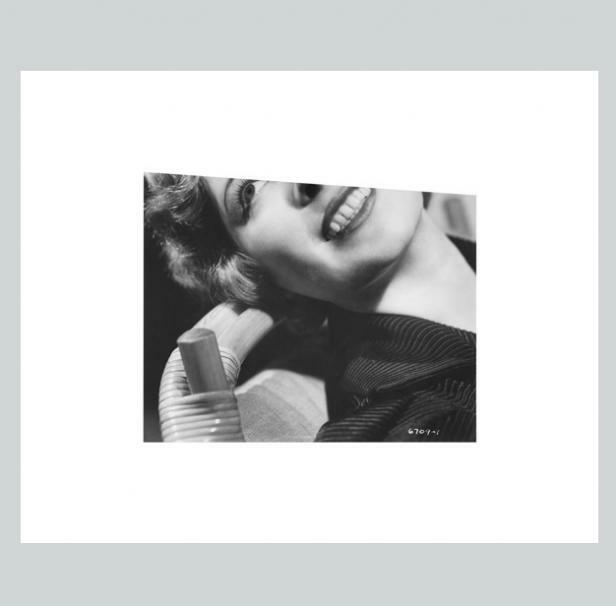 John Stezaker is represented by The Approach Gallery in the UK.